Sleek steel blue sweeps from muzzle to tail, the smooth gleam of a polished blade reflecting the expanse of the ocean collected upon his hide. Deeper cobalt splashes along his stomach, solid coloring his centerline, while the spots become sparser and more sporadic by the time they reach each of his thin limbs. Dark ebony talons gleam at the end of each limb, the darkest point on his body. Wing spars darken to the same cobalt while sails are a silvery steel, colors pulled to every edge of his form. As his short muzzle arches up at each faceted eye and sweeps back into rounded headknobs, dark royal ridges run along his back to his tail, coloring pure as can be. Rounded and rather squashed, much more like a sphere than an ovoid, this egg seems rather innocent enough. Hazy blue dusts the majority of the surface, giving everything an odd hint of color, as if peering through a poor quality lens. Set amongst the surface is a pile of old stones - grayish hues turned by the blue dust - sturdy through the ages like a castle, unaffected by the swirling elements of earth, fire, wind, and water as they break free from their hold, each tinting the blue slightly - brown, red, white and green. Orb of the Elements Egg has struggled to remain on the sands, but the bonding power of the elements is weakening, and the power inside is ready to make its way out into the world, cracks forming and pushing fire from water, earth from air. Power has been building behind the hazy blue shell of the Orb of the Elements Egg, and as the streams of colors work their way across the shell, it starts to shift on the sands, dislodging the sand that props it up, the force trapped inside being its struggle. Orb of the Elements Egg can take no more, and the shell is vanquished by the warrior within, large fragments falling to the sands, each element harmless by itself, and a blue dragonet remaining in its place, the victor. In many ways Karidath is a throwback to the times when Thread fell and the planet had to be protected at all costs. He has a fierce intensity about him, an almost over protectiveness that extends to those he allows to get close to him. He would happily lay down his life for the small collection of friends he will gather, and of course for you — his second in command. He's a wary dragon and any who wish to win his trust will likely be put to the test again and again before he accepts them. Despite his reluctance to let people close he seems to always think the best of people, and will encourage you to not jump to conclusions before the facts are known. Interestingly he seems to have a slight resentment for those in charge, not enjoying taking orders from anyone. Rules are mere guidelines to him, something that he's never afraid of overstepping if he deems it to be for the best. He has his own strict moral code that he adheres to and which may get you both in trouble from time to time - especially during weyrlinghood when he decides to fly early. There are times he will seem to get angry with people for no reason, wishing to chase them away so that they do not end up in whatever bit of trouble he seems to be heading towards next. His clutchmates will all be very dear to him, Ailath and Nemiath becoming especially dear to him. In Ailath he has an equal, someone that he would gladly take with him on any task. Nemiath is more of a kid-sister to him, someone that he feels he needs to protect. These same loyalties extend to members of his wing, and should he ever end up leading he will be surprised at how much loyalty he receives in return. For all of his talents in the air and his force of will Karidath rather falls down on the subject of romance. Noleandrath holds a certain fascination for him, a lust that can never be fulfilled no matter how many greens he chases or wins. She is perhaps the only one that can make him jump to her tune. Karidath's mind is and generally always will be full of rich, bold colors, the spectrum varying based on his moods. Generally, however, he prefers a powerful red, streaked with pure splashes of ebony and ivory. Courage colors his thoughts a deep blue, while frustration tints them orange. A dull roar seems to linger in his thoughts, his sure tenor voice echoing amongst the constant backdrop that only silences in your own mind as he sleeps. "The world is veiled in darkness. The wind stops. The sea is wild. The earth begins to rot. The people wait; their only hope: a prophecy… 'When the world is in darkness four warriors will come..' After a long journey, four young warriors arrive, each holding an ORB…"
The theme for this clutch at Xanadu was 'Video games' and the Orb of the Elements Egg was based on Final Fantasy I from the original Nintendo Entertainment System (NES). The game is a basic quest game - with 4 young heroes seeking to end the destruction of their world. During the game, you seek out the fiend of each Element - Earth, Fire, Water, and Wind, and reclaim the power of that element to the orb that you carry. During the course of your journey, you both find a lost airship - a remnant of the past - and become true Light Warriors by overcoming the challenges of the King of the Dragons. Eventually, you meet the power behind it all, and in doing so, save your world. You wanted a Captain Malcolm Reynolds dragon, and so you have it. 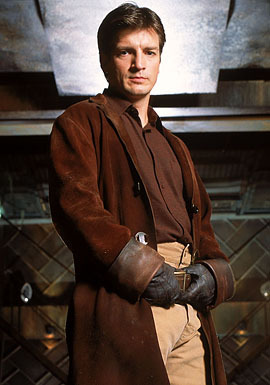 Malcolm Reynolds, as the captain of the ship Serenity, believes in the good of humanity, and is willing to go to any length to ensure the safety of his crew. Unlike the traditional hero, Mal is unafraid of employing alternate means to get to the end. Malcolm Reynolds also embodies the main characteristics of the mind behind the Orb of the Elements Egg - a quest, the willingness to take thing as the come, and to shape them to its own benefit. Karidath's name comes from the Arabic name 'Karida' which means loyal. Given that both Mal and Karidath exhibit an extreme sense of loyalty to those they value, it seemed appropriate.